Revered President Maharaj is keeping well. Swami Vagishananda ji, who had been admitted to Seva Pratishthan on 24 December on account of pneumonia, was discharged from the hospital on 9 January. He is recuperating well at Cossipore Math. Swami Gautamananda ji is scheduled to return to Chennai Math on 5 February from Salem. He will visit Hyderabad, Coimbatore and Ooty from 15 to 24 February. He is in good health. Swami Prabhananda ji will visit Barasat Math from 13 to 20 February. He is keeping well. Swami Shivamayananda ji is scheduled to return to Kankurgachhi Math on 9 February after his visit to Rajamahendravaram and Vijayawada. He will visit Katwa and Sainthia in West Bengal from 14 to 23 February. He is in good health. Swami Suhitananda ji will visit Shyampukur Bati on 3 February, Kathamrita Bhavan on 5, 6 and 7 February, and Bankura from 16 to 24 February. He is in good health. 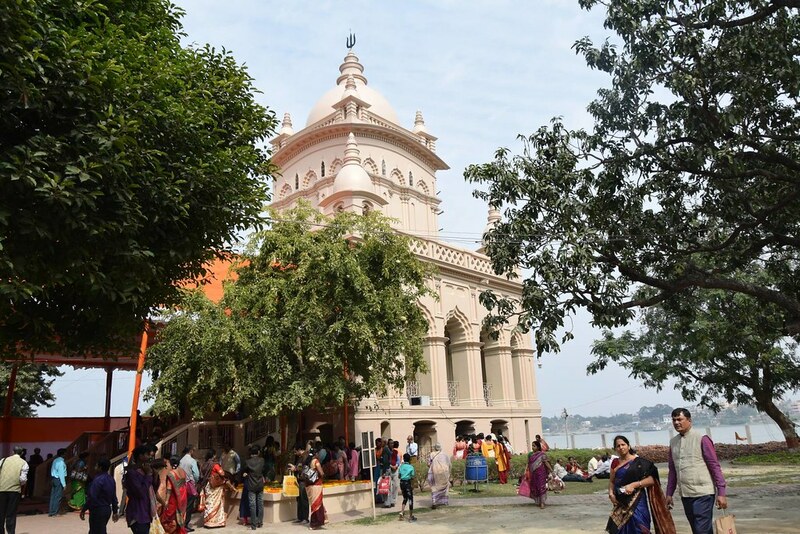 The birthday of Swami Vivekananda was celebrated at Belur Math on Sunday, 27 January. Thousands of devotees attended the celebration throughout the day. Cooked prasad was served to about 15,000 devotees. Swami Atmeshwarananda presided over the public meeting held in the afternoon. Photos. Sri Kummanam Rajasekharan, Governor of Mizoram, visited Belur Math on 29 January. Aalo, Agartala, Antpur, Aurangabad, Bengaluru, Bhubaneswar, Chandigarh, Chapra, Chennai Math, Chennai Mission Ashrama, Chennai Students’ Home, Cooch Behar, Dibrugarh, Gadadhar Ashrama, Gurap, Guwahati, Hatamuniguda, Hyderabad, Indore, Itanagar, Jalpaiguri, Jammu, Jamtara, Jhargram, Kadapa, Kailashahar, Kalady, Kamarpukur, Kankurgachhi, Kanpur, Kayamkulam, Khetri, Kochi, Kozhikode, Lalgarh, Limbdi, Lucknow, Madurai, Manasadwip, Mangaluru, Medinipur, Mekhliganj, Mumbai, Mysuru, Nagpur, Naora, Narottam Nagar, Nattarampalli, Pala, Ponnampet, Pune, Puri Mission, Purulia, Rahara, Raipur, Rajamahendravaram, Rajkot (and its sub-centre Ahmedabad), Ramanathapuram, Ranchi (Morabadi), Ranchi Sanatorium, Rishikesh, Salem, Sargachhi, Sarisha, Seva Pratishthan, Shillong, Sikra-Kulingram, Swamiji’s Ancestral House, Taki, Tamluk, Tirupati, Varanasi Home of Service and Vijayawada. Chennai Math, in association with a few other organizations, conducted a football championship in which 45 teams from 4 districts of Tamil Nadu took part. The winners were awarded prizes in the programme held on 12 January. Photos. 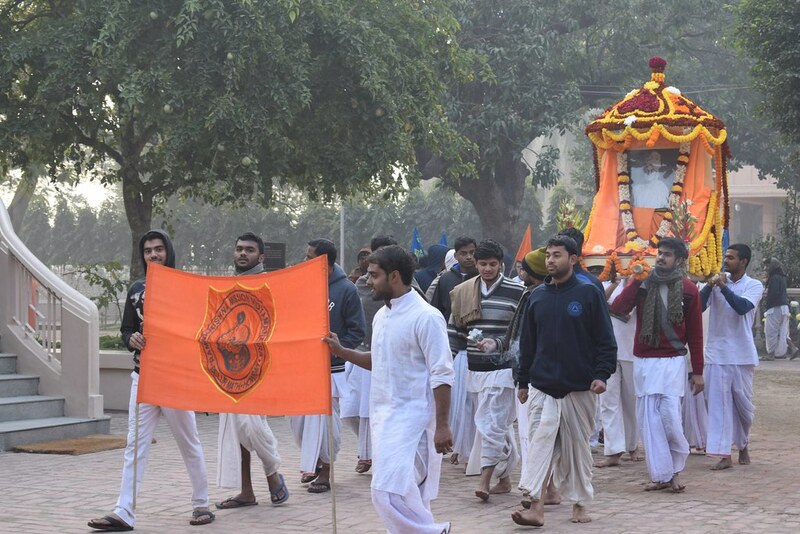 Narainpur centre held a large procession on 12 January in which about 10,000 people took part. In the public function held on the occasion, Sri Bhupesh Baghel, Chief Minister of Chhattisgarh, and several other dignitaries participated. Report and Photo. Sri Tathagata Roy, Governor of Meghalaya, among others, addressed the meeting conducted by Shillong centre on 12 January. Report and Photo. Baranagar Math: A youths’ conference on 26 January in which 267 students participated. Barisha: A devotees’ convention on 13 January in which some 1400 people took part. Hyderabad: Lectures and cultural competitions in 40 government schools from 15 November to 31 December involving about 6300 students. The centre also held a special lecture on 22 December which was attended by nearly 400 law students of different colleges in Hyderabad. Indore: A youths’ convention on 30 December in which about 900 youths participated. Institute of Culture, Gol Park: A seminar on “Swami Vivekananda’s Message for the Youth” on 7 and 8 January in which about 250 people participated. 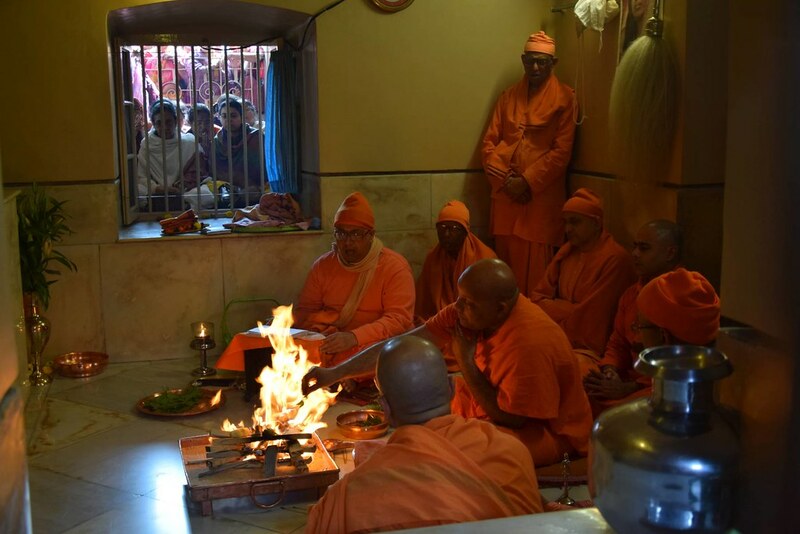 Kamarpukur: A spiritual retreat on 6 January which was attended by 1550 devotees. Mangaluru: Lectures at 14 colleges in Mangaluru which were attended by about 4400 youths. Pune: Three youths’ conventions in Nashik district on 17 and 18 January in which 950 tribal youths participated. Sarisha: A convention for devotees and youths on 25 December attended by 220 people. Vijayawada: A symposium on personality development on 29 December attended by 315 students, and a teachers’ convention on 30 December attended by 170 teachers. Netherlands: A programme of talks, music and video shows in Eindhoven city on 28 January. Report and Photo. Chandpur, Bangladesh: A procession and a public meeting on 4 January attended by about 1500 people. Durban, South Africa: Special lectures at six places between 9 and 17 January, which were attended by about 800 people in all. Phoenix, South Africa: Special lectures at Phoenix and Johannesburg on 7 and 19 January, which were attended by about 410 people. The concluding phase of Rahara centre’s platinum jubilee was held from 25 December to 1 January with a procession, a devotees’ convention, cultural events and other programmes. A fair held on the occasion was visited by several thousand people. The General Secretary addressed a meeting held on 25 December. Foundation stones were laid for two new buildings for Dhanya Ganga Krishi Vigyan Kendra (KVK) at Sargachhi centre on 28 December, the sacred birthday of Holy Mother. The KVK was started recently under the aegis of RKMVERI, Belur. The newly set-up English-medium primary school at Garbeta centre was inaugurated on 2 January. Malda centre held the following programmes from 2 to 6 January to mark the platinum jubilee of its Vidyamandira (higher secondary school): a procession, a public meeting, two seminars, an alumni meet, an inter-school quiz competition and a number of cultural events. A book on the history of the school and a commemorative volume were also released on this occasion. Kamarpukur centre held a kisan mela (farmers’ fair) on 8 and 9 January which was visited by about 600 farmers. Seva Pratishthan, Kolkata, conducted a round-the-clock medical camp during Makar Sankranti Mela at Sagar Island in South 24-Parganas district from 10 to 16 January. In all, 9025 patients were treated, out of which 35 received indoor medical care. On the occasion of Gangasagar Mela, Manasadwip centre held a camp at the Mela area from 11 to 16 January. In all, 606 pilgrims were given free board and lodging at the camp. In addition, free meals were served to about 3000 non-resident pilgrims from 13 to 15 January. Discourses and devotional singing were also arranged in the camp. On 17 January, the Institute of Culture, Gol Park, Kolkata, conferred the Vivekananda Award, comprising a cash award of one lakh rupees and a citation, to Sri Thokchom Shiba Dutta Singh for his contribution to Ramakrishna-Vivekananda literature in Manipuri, and Vivekananda Medals to two charitable organizations, namely Nanritam (in Purulia district) and Vivekananda Swasthya Seva Sangha (in Kolkata). Each of these organizations was given a gold medal, a cash award of one lakh rupees and a citation. The General Secretary presented the award and the medals. Purulia Vidyapith held an inter-school athletic meet on 23 and 24 January in which 105 students of 13 Ramakrishna Mission schools in West Bengal took part. Purulia Vidyapith won the champions’ trophy. Chennai Math held a medical camp at its rural development centre in Meyyur village on 21 January in which 70 children with cardiac problems were treated. Dibrugarh centre conducted three medical camps in January in which 118 patients underwent different diagnostic tests and received treatment. Report and Photo. Gourhati Math held a health awareness camp on 30 January which was attended by 150 persons; 91 of them underwent different diagnostic tests. Khetri centre held a yogasana camp from 23 December to 1 January in which about 100 people participated. Lalgarh centre conducted a blood donation camp on 12 January in which 50 people donated blood. 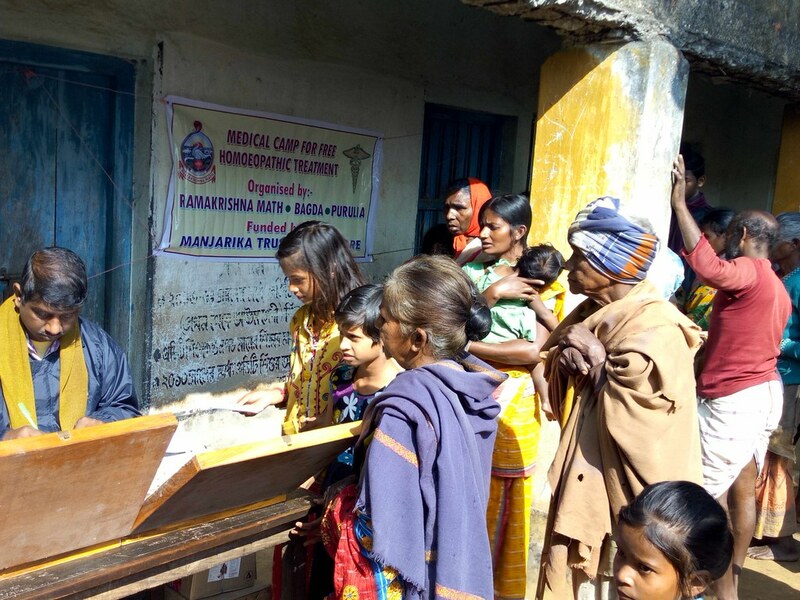 Medinipur centre held a medical camp at Madhupur, under Salboni block, a backward tribal area in Paschim Medinipur district, on 26 January, in which 1542 patients were treated. Nagpur Math held a parents’ convention in Gondia in which 225 parents participated. Rajkot Ashrama conducted cultural and sports competitions for physically challenged children on 6 January in which 300 children from 10 schools took part. On 25 January, the foundation stone for the six-storey monks’ quarters at Seva Pratishthan was laid and two renovated seminar halls, namely ‘Virajananda Hall’ and ‘Atmasthananda Hall’, were inaugurated. Shillong centre held a blood donation camp on 12 January in which 29 people donated blood. Lalgarh centre cleaned Makar Sankranti Mela ground in Lalgarh on 26 January. Kamarpukur centre held a cleanliness drive at Kamarpukur village on 25 January. Mangaluru Ashrama conducted the following activities in January: (i) four cleanliness drives in Mangaluru involving 1450 volunteers, (ii) awareness campaigns for 25 days in which volunteers reached out to nearly 1100 households in different parts of Mangaluru city, spreading awareness about cleanliness, (iii) six seminars in colleges covering about 3500 youths, and (iv) cleanliness drives in 120 villages of Dakshina Kannada and Udupi districts in which about 16,850 people took part. Shillong Ashrama held a cleanliness drive near its Vivekananda Cultural Centre on 12 January. Mysuru Ashrama held a written quiz competition on Swamiji from July to December in which about 44,000 students from 452 schools and colleges in Karnataka took part. State-level toppers were awarded prizes on 31 December. The Ashrama also conducted a three-day residential youths’ camp at RIMSE in which 110 youths from different parts of Karnataka participated. Report and Photo. Baranagar Math held a youths’ convention for girls on 29 December in which 350 girl students participated. Chennai Math conducted a teachers’ orientation programme on 19 January in which 46 teachers of its two schools took part. Delhi centre conducted a values education workshop in Delhi on 10 January which was attended by 263 principals. Gourhati centre held a youths’ convention on 28 January which was attended by about 700 students and 45 teachers from 19 schools. 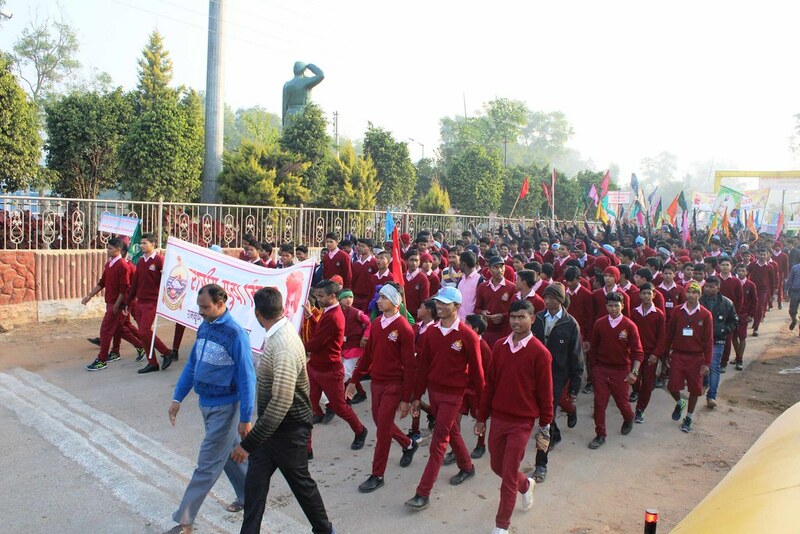 Kailashahar centre held values education programmes at six schools and colleges from 17 December to 12 January in which about 2200 students and 100 teachers took part. Khetri centre held six values education workshops in four schools and one college from 15 to 18 January in which 3275 students and 95 teachers participated. Madurai Math conducted a personality development camp on 19 January in which 115 students from a women’s college took part. Nagpur Math conducted values education programmes in three engineering colleges of Nagpur and four schools of Gondia district between 17 and 19 January which were attended by about 1800 students in all. Rajkot centre held five values education programmes between 3 and 17 January which were attended by 2600 students. Salem Ashrama conducted a values education programme at a college in Salem district on 21 and 22 January in which some 200 students participated. 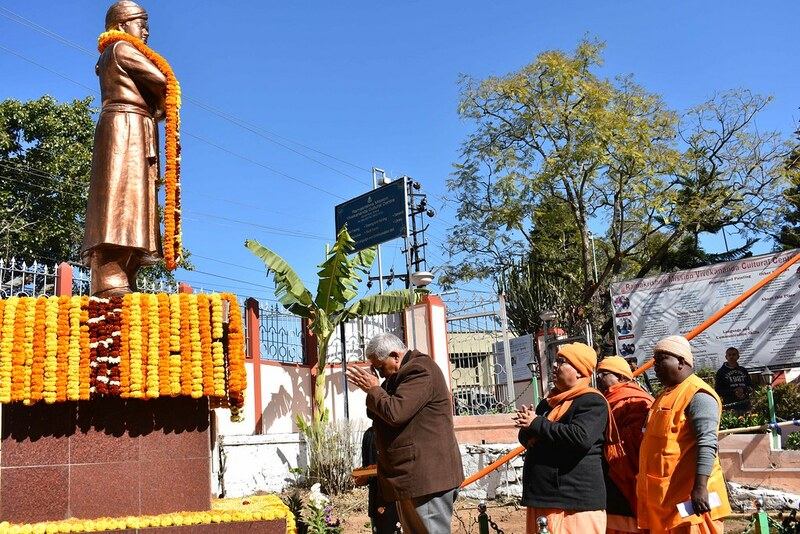 The General Secretary unveiled a statue of Swami Vivekananda at Dhaka centre on 12 January. A number of dignitaries and about 3000 devotees and well-wishers attended the programme. Report and Photos. The Ministry of External Affairs, Government of India, presented the Pravasi Bharatiya Samman Award to Ramakrishna Mission in recognition of the Mission’s service activities in South Africa. Sri Ram Nath Kovind, President of India, presented a citation and a medal to Swami Saradaprabhananda, Head of Phoenix centre, South Africa, at a function held in Varanasi on 25 January. We are sorry to announce the passing away of Swami Bhaumanandaji (Venkatesh Maharaj) at a hospital in Pune on 13 January at 7.27 am. He was 96 and had been suffering from diabetes and hypertension for some years. Initiated by Swami Virajanandaji Maharaj, he joined the order in 1942 at Nagpur Math, and received sannyasa diksha from Swami Shankaranandaji Maharaj in 1952. He served at Nagpur Math as an assistant for 40 years and Pune Math as its first head for 26 years. He made a significant contribution to the growth of Pune Math and several ashramas under Bhava Prachar Parishad. After relinquishing headship in 2010, he continued to stay at Pune Math as a retired monk. He was known for his meticulous routine and keen interest in studies. Inspired by him, several young men joined our order. Amiable and affectionate by nature, he endeared himself to all who came in contact with him.